Nicolaus Copernicus is a German-Polish astronomer who first formulated the theory of a heliocentric universe, with the Sun at the center. 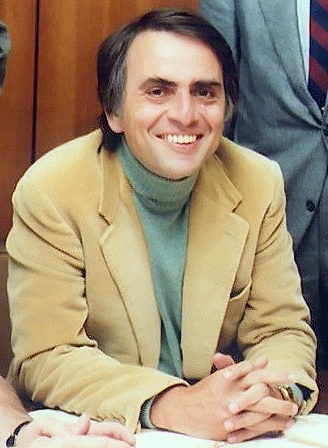 This theory, later outlined in his book On the Revolutions of the Celestial Spheres, began the Copernican revolution, which was a cornerstone of the scientific revolution, when science and the occult became more and more distinct from each other. 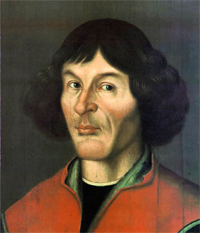 Controversy against Copernicus’ theory was very scarce initially. Even the clergy approached the idea with an open mind when the Archbishop of Capua (southern Italy) wrote Copernicus a letter, encouraging him to spread the idea and send him his writings. The full Revolutions ,however, wasn’t printed until shortly before Copernicus’ death. After Copernicus’ passing, his book attracted a much greater deal of controversy, with prominent members of the clergy condemning heliocentrism, mostly becuase it contradicted the Bible. 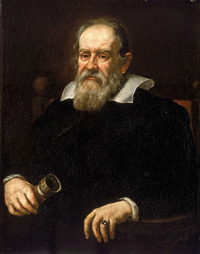 Galileo Galilei, one of Copernicus’ most well-known supporters, was infamously convicted for heresy in 1633, placing him under house arrest for the rest of his life. Works defending heliocentrism were on the Catholic Church’s list of banned books until 1758 and the original uncensored Revolutions wasn’t removed from the list until 1835. In 2005, Copernicus’ remains were exhumed and given a proper burial in 2010, with the tombstone shaped like a golden sun with 6 planets surrounding it. 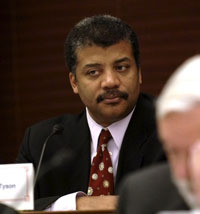 Neil deGrasse Tyson in as American astrophysicist, who also hosted Nova ScienceNow, an educational science show, on PBS from 2006 to 2011.